A staple in the clubbing scene, “Molly” has become synonymous with rave culture and has become a hallmark party drug. But how exactly does it work? MDMA acts on the brain by flooding brain synapses with the neurotransmitter serotonin, which leads to euphoria. It can also lead to a crash afterwards, as serotonin stores are depleted. Another danger is the ambiguity of the other substances mixed with the drug. 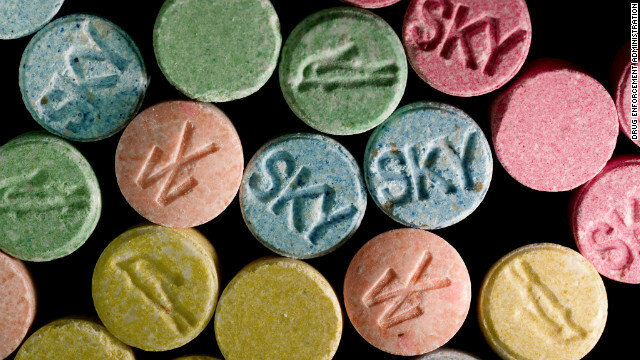 Molly is essentially the same as ecstasy, but “Molly” is often toted as a more pure form of MDMA, while ecstasy is often laced with other drugs. (CNN) However, the New York Times reports that this is a misconception, and molly is often cut with other unknown, or even harmful, substances. Because “Molly” is sold in powder form, it is easily mixed with other substances, including methamphetamine and bath salts. Being Adept advises parents to talk to their children about the risks involved with “Molly, especially the danger posed by laced samples. Being Adept is a nonprofit in the Bay Area working to implement drug and alcohol curriculums in schools.